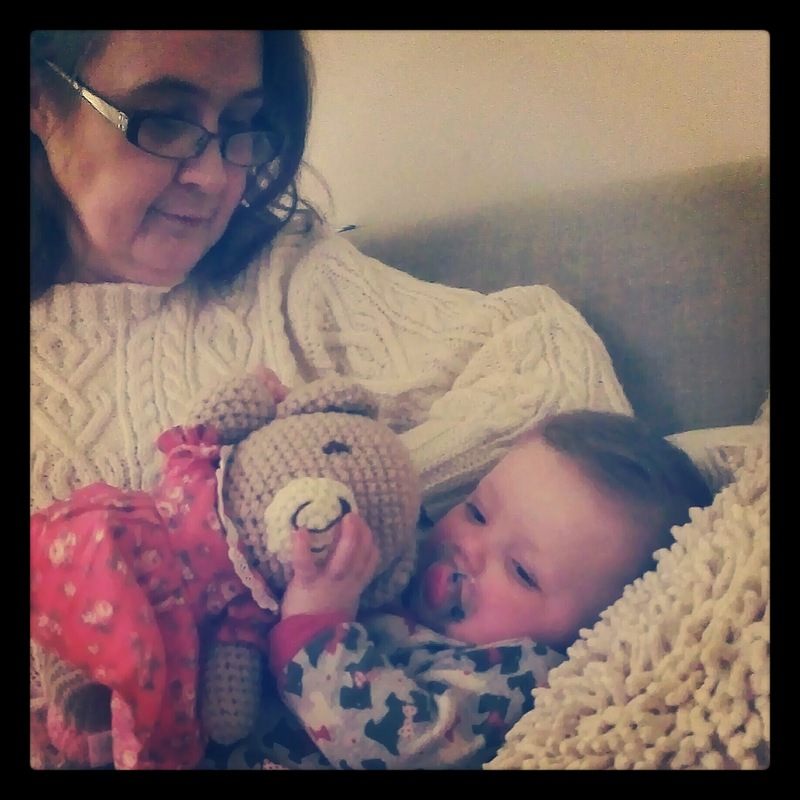 In the shape of a Cath Kidston teddy bear, which was given to her at Christmas by her Nana and Grandad (My Dad and Step mum). Last night my Mum was over and she was cuddling up with Darcie whilst I was prepping her bottle, my Mum suddenly said "Quick, come here". 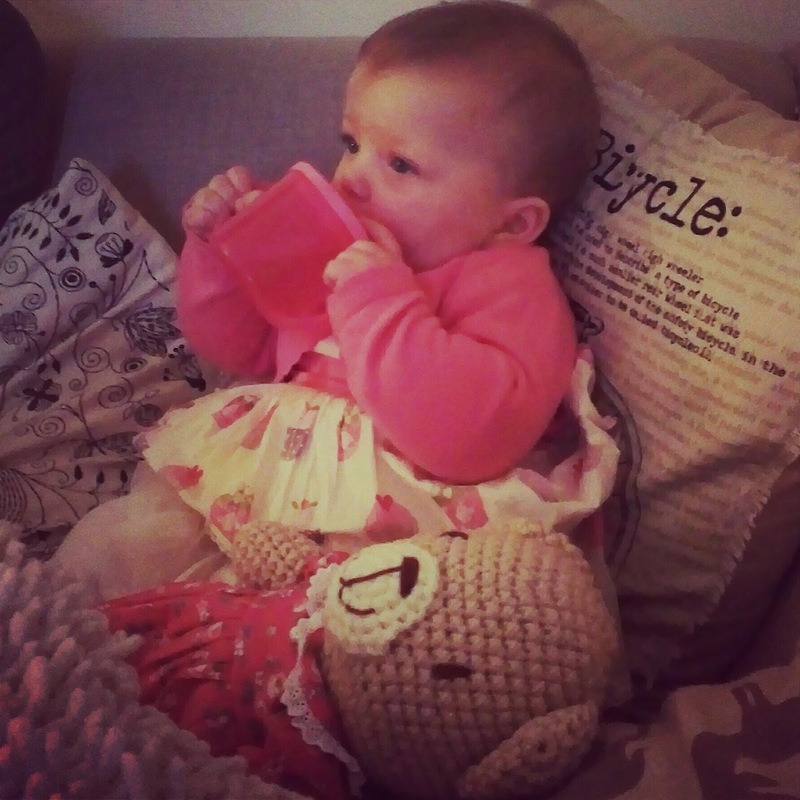 When I came in Darcie was sat on my Mums lap putting her dummy in her own mouth and then putting it on the Teddy's mouth!!!! MIND BLOWING!!! How on earth can a seven month old have this much intelligence that she can understand where a teddy's mouth is?!?! Since then she is seemingly becoming more and more attached, pity really as I quite fancied this perched on my bed... hehe.